Calling all dedicated Reggae heads! Come and enjoy what Iration have to offer! As they take to the road across North America, Iration will be bringing all of the feel good energy and positivity through their uplifting words and melodies…. 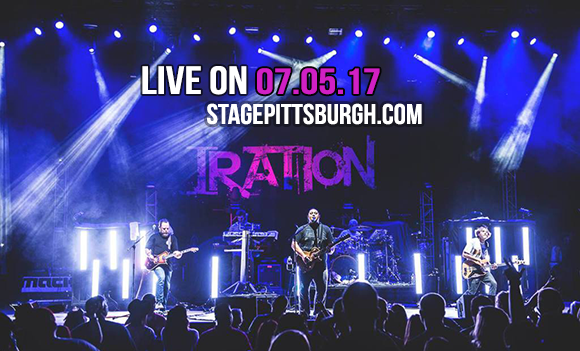 Catch all of this LIVE at Stage AE on Wednesday 5th July 2017! You won't want to miss this one, this is the perfect summertime show! "And we wanna give it back to you, know that you can feel it too… the time has come, the lights are on high"
The one and only Californian sunshine Roots act… the incredible, Iration are hitting up venues near you this summer! Originally from Hawaii, the band crafted their laid back vibes, which really does feel like you are being transported to the beach. Their dub and rock infused sound is a popular one, not just in the US but all around the globe. These guys have had great success over the last 10 years with the release of albums such as 'No Time for Rest' which smashed the Reggae Albums Chart by Billboard! As well as this they have proven themselves worthy to be performing with some of America's biggest Reggae artists and have recently been on tour with the likes of; Pepper and Slightly Stoopid. This headline performance is a one off date this year – so if you're a fan, then whatever you do – don't miss it!